I have a secret addiction: Amazon. I love buying anything and everything on Amazon. Seriously, the UPS Man is at our House if not everyday, every other day. I purchase all of my "Super" Foods on Amazon, they are typically sold in packs of 2 for a lot less than my area Health Food Store. 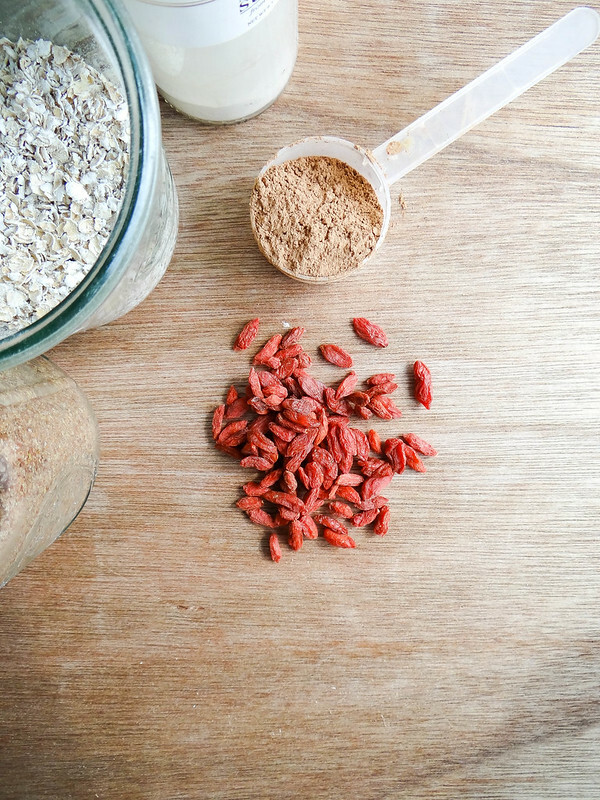 Goji berries are one of my favorite oatmeal add ins - they add nice texture, are pretty in color. 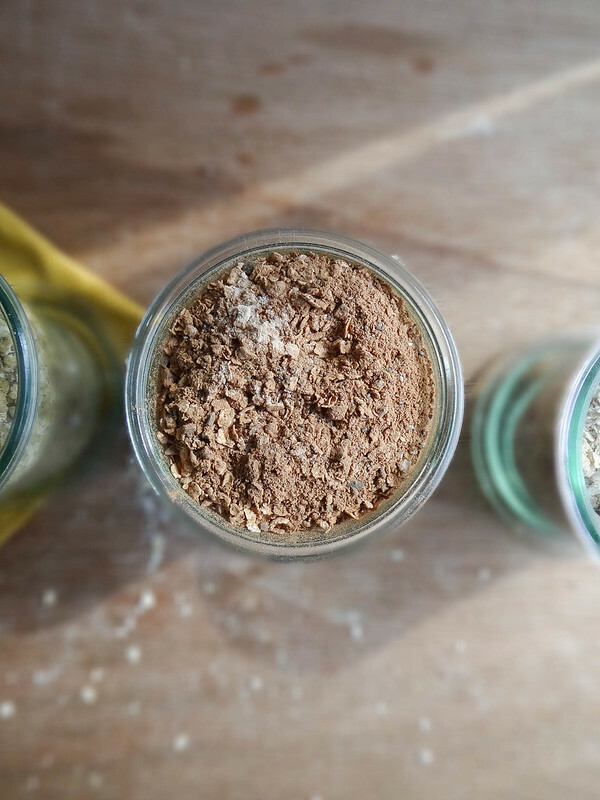 You can never add to many extras into your instant oatmeal // chia seeds, hemp hearts, maca powder, ground or whole fax seeds all have a home in my oatmeal. 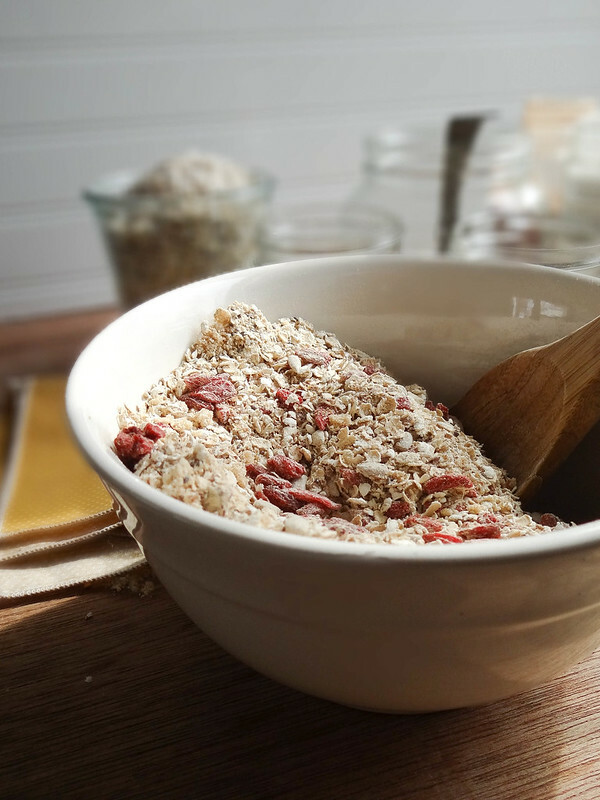 Maca Goji Oatmeal is the most simple out of the three, a great one to introduce those new to oatmeal. Fun Fact: I had never tried oatmeal until I met Justin, when I was younger (and actually ate breakfast) we were more of a cereal + milk family with donuts and "Big" breakfast on the weekend. Chocolate for breakfast- heck yeah! 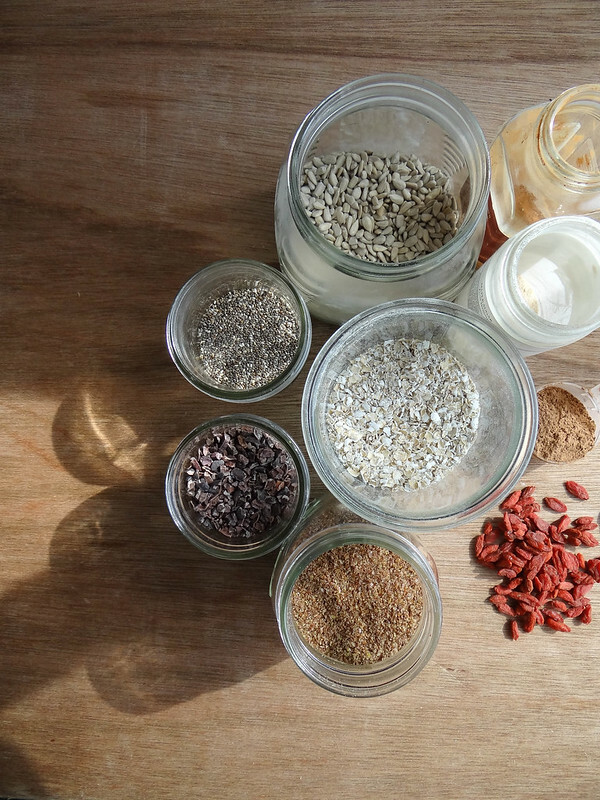 You can have your chocolate for breakfast with healthy benefits at the same time. 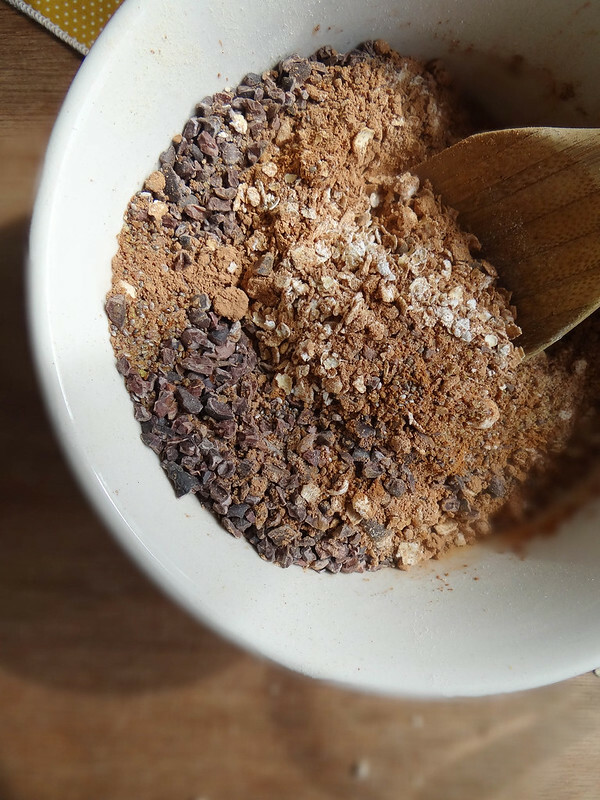 Cacao is so amazing- it took me a little while to warm up to cacao nibs, but now I am so in love. They add an awesome crunch and the cacao powder hits you in the face with chocolaty goodness that makes your taste buds dance. 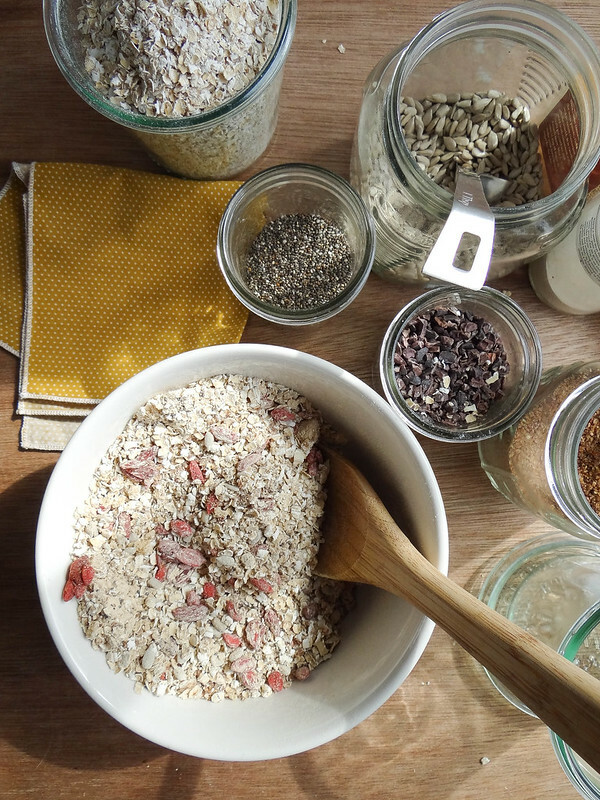 Not everyone is familiar with Maple Sugar, it is a special indulgence that I buy specifically for this oatmeal. Maple Sugar has a delicate sweetness and almost softness to it. 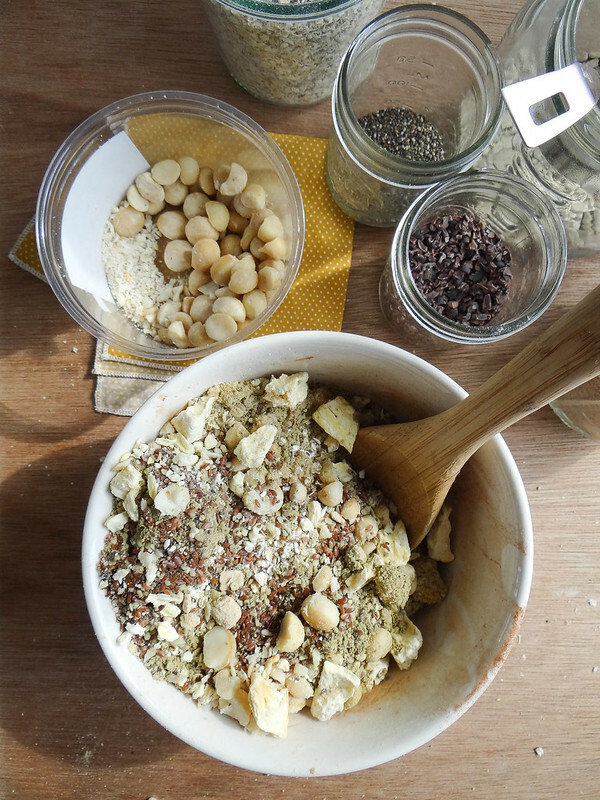 Do you ever find yourself with a smattering of random pantry ingredients that you just had to have/buy. I find myself in this situation every time I go to Target - seriously, I have no self control in Target or Trader Joes. This one time, at Target, I laid eyes upon freeze dried fruits- ahhhh so cool! Bought them, then they sat at the back of my baking pantry for what felt like ages. Then one day I added a bit of freeze dried pineapple to my oatmeal - yeah! It was so good, love at first bite. Chewy, sweet and very tropical - I felt like I was in the Islands. 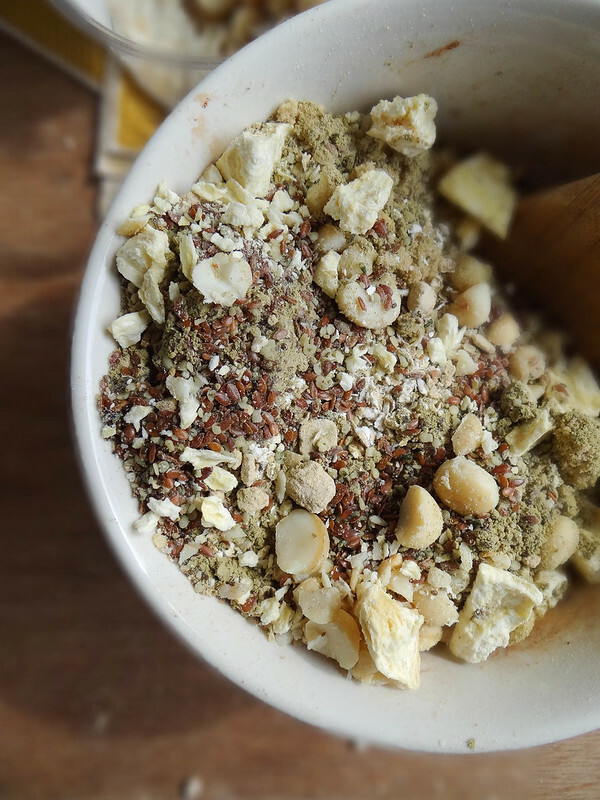 Macadamia nuts , hemp powder + a super seed mix round out this mix. There is just something about this oatmeal variation that just makes me smile. I hope you found this post helpful and inspires you to shave a little time off on your morning routine. What tips do you have for saving time during your day - I'd love to hear your time saving tips! 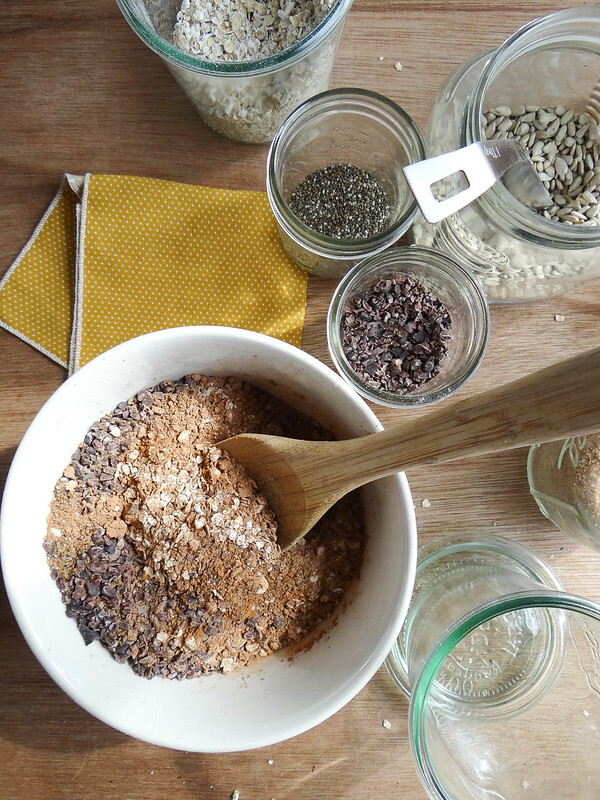 Measure + place ingredients in a large mixing bowl (I used the same bowl each time when making all three mixes )- with a wooden spoon mix until well blended, breaking up the clumps with your hands. 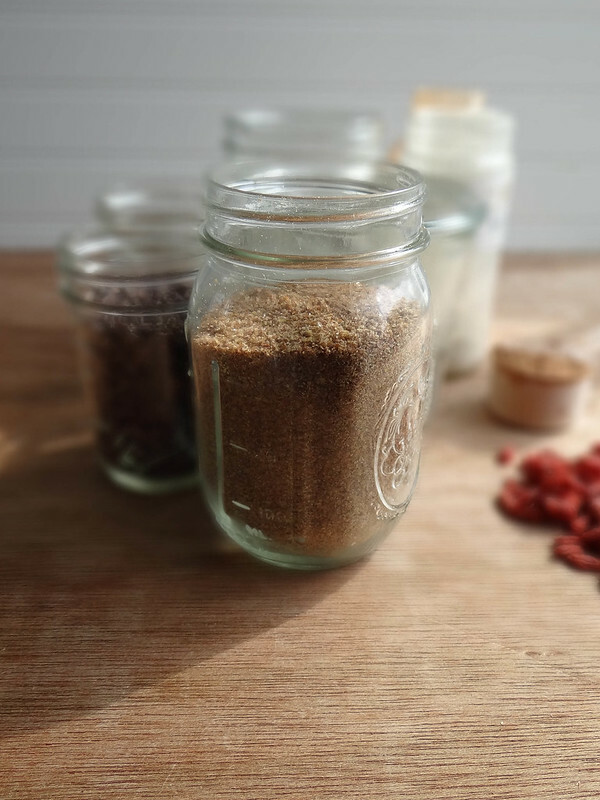 Spoon mixture into an air tight container. 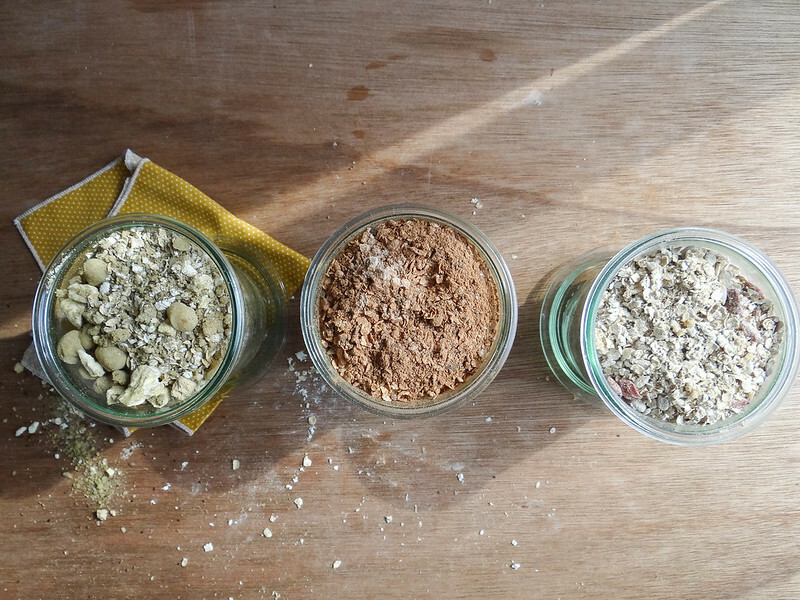 Repeat for each kind of instant oatmeal. 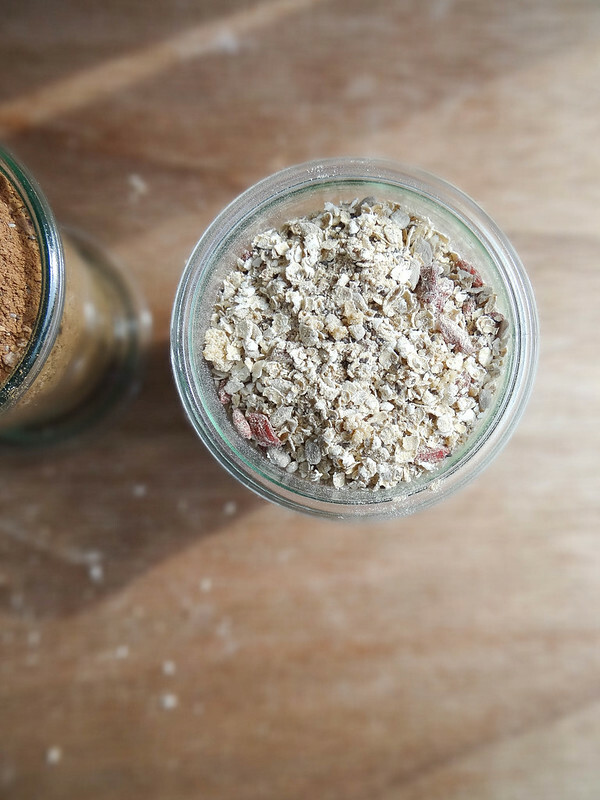 To prepare, place a 1/2 cup of instant oatmeal mix into a bowl - add about 1-1 1/2 cups of hot water + stir. Allow to sit for a minute or two prior to eating. I'm telling you the Pineapple Macadamia is a breakfast game changer! I love the idea of this! And these combo's are so inspired! Great idea, and what a great post! All three of those combinations sounds delicious. Pinned! They make my mornings so much better + easier! These look great! 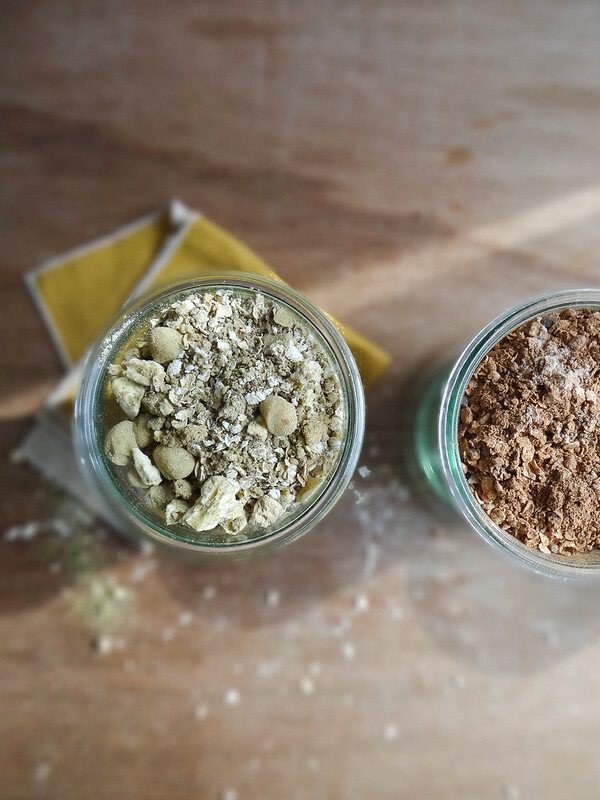 How many servings are in 2.5 cups of each mixture? I'm excited to try you oatmeal recipes. It great for a healthy breakfast or snack. 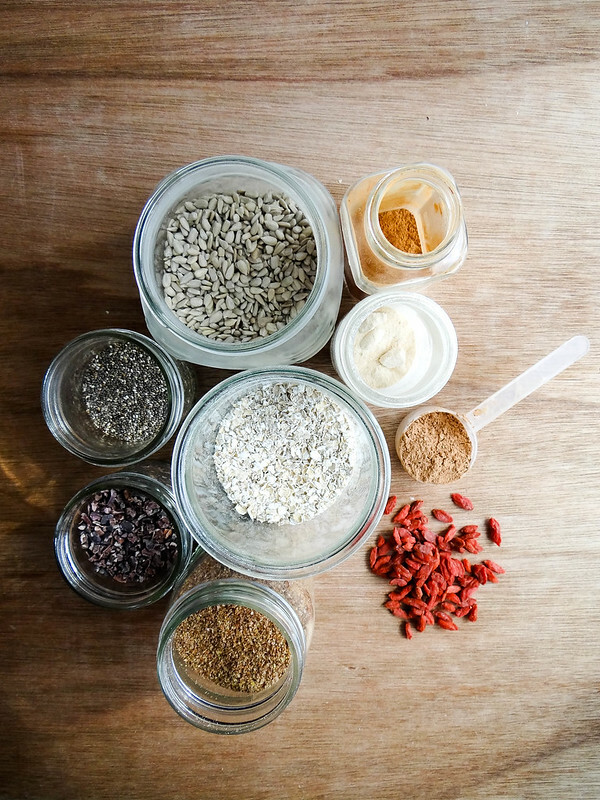 I'm gonna fix me some maca goji oatmeal tommorrow. 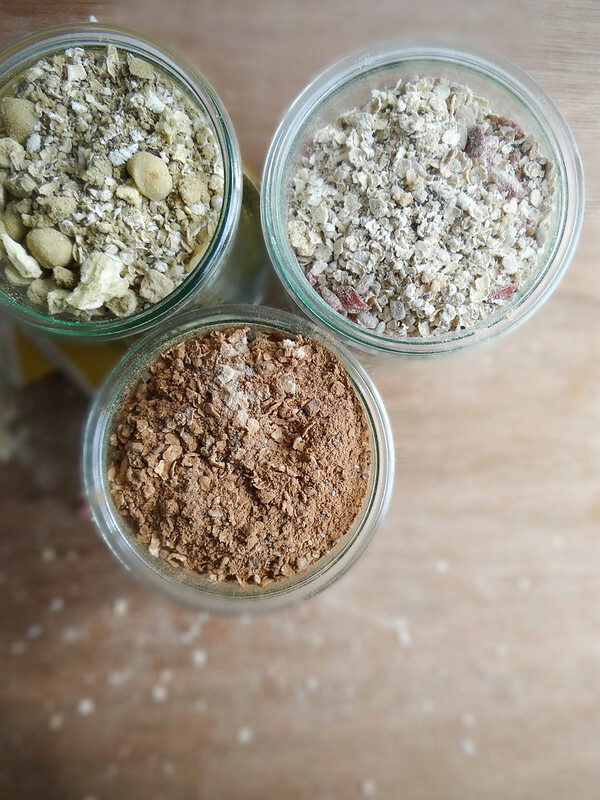 I've been looking for ways to spice up my morning oatmeal, the chocolate maple one looks especially tempting! These recipes are also great for getting me out the door on time for my early morning gym sessions.